Lucien is currently conducting research in the Department of Geography at University College London, examining the measurement and definition of the green economy. He also holds research interests in international environmental governance, cleantech investment and sustainable development. 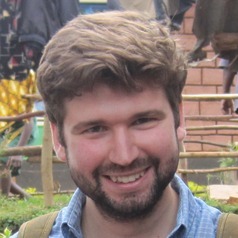 Lucien has previously worked as a sustainability specialist in the Future Planet team at the consultancy Grayling, after completing the MSc in Sustainable Environmental Management at the University of Plymouth, for which he was awarded a Distinction and the Mark Blacksell Prize for the Best Taught Masters Student on a Geography Related Programme.